Mercedes Ramirez Johnson » Dreams DO Come True! The Olympics Games are an amazing example of watching dreams become reality. To see all the hard work and dedication invested by the athletes finally pay off is inspiring. To know when they cross that finish line or score that final point embodies an emotional culmination of the sacrifices they have made to bring them to that golden moment. The athletes have worked hard but also their friends and families have played important roles in supporting their winning journey. These athletes are the pride of the nations they represent and in achieving their dreams they instill new dreams into the hearts and minds of others. This week I had the chance to see another inspirational person achieve their dream as well. He’s not a famous athlete nor was his journey chronicled by international media; but his long and hard fought journey is as inspirational as you could ever imagine. While being the MC to the Make-a-Wish Delicious Wishes event this past week, I was fortunate enough to unveil a wish granted to a boy named Tanner and his dear family. Before that night I had never met Tanner, but upon meeting him I could see that beyond his kind eyes and shy mannerisms was a fierce hearted warrior who had fought many battles, battles that most of us go an entire lifetime without ever experiencing. 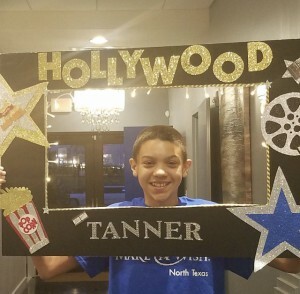 To see Tanner and his family’s reaction to the announcement of his Hollywood wish being granted was priceless. Right there on stage I felt like everyone in that ballroom was experiencing Tanner’s Olympic moment. Athletes train relentlessly for years. Tanner has fought his health battles for years. Athlete sacrifice a “normal” leisurely life to dedicate themselves with full devotion to making it to the top of their sport. 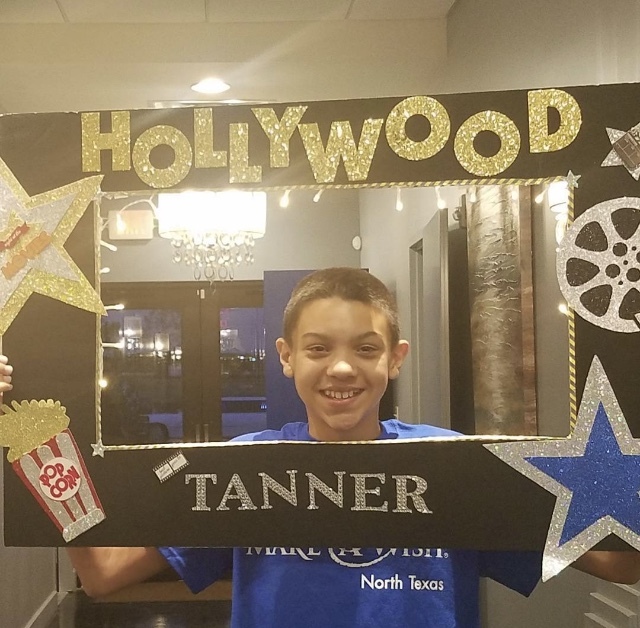 Tanner hasn’t lived a “normal” childhood in his relentless health battles, but still manages to have a smile on his face and a hopeful spirit. Athlete’s families revolve their lives around supporting their star, forgoing a normal existence for attending countless sporting events, traveling to whirlwind competitions and cheering for their beloved athlete. Tanner’s family successfully navigates the never-ending marathon of caring for a medically dependent child, unceasingly vigilant with Tanner’s hospitalizations, procedures and medical care, and always cheering him along the way. Smiles beamed from Tanner and his family’s faces that evening. What a wonderful moment to witness! I have no doubt that Tanner is destined for many great things in his life. The strength he and his family have built together in his journey has created the foundation to a lifetime of blessings. They have fought for Tanner, cared for Tanner and now celebrate with Tanner. No podiums and no shiny medals were needed that evening; we felt we were all experiencing Tanner’s golden moment.